Rare Opalized Fluorite! 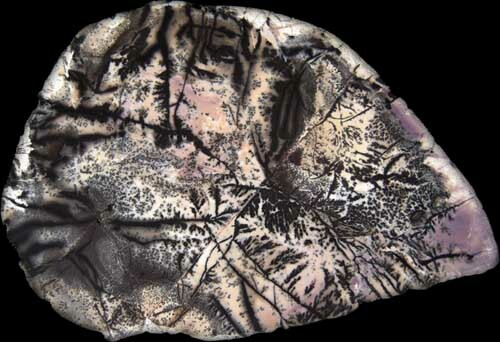 This material is one of the most scarce, beautiful and unusual stones in the world, this stone only comes from one very small area of beryllium mines in the Utah west desert where they mine (the 4th lightest element) beryllium for use in missile nose cones and many other high-tech metallurgical uses. It is not open to the public for collecting and very little of this material sees anything other than the ore crusher to extract the about 1% to 2% beryllium contained in the opal tuff. Try to find this exquisite gemstone and you'll see that it's not only very rare, it is very scarce. It is a soft to hard opalized stone that forms in very small to 100+ pound "nodules", composed of predominantly opalized fluorite (blues, purples and whites), often with many other minerals such as quartz, dolomite, rhodonite, manganese, beryllium and other surprises. It often has a "crackled" appearance and is sometimes called "Tiffany Stone", "Bertrandite" "Purple Opal" or "Ice Cream Opalite". I call it Opal-Fluorite.